Has dating completely changed as we know? Its a question I keep hearing everywhere. Its not like it use to be back in the day - a guy gets your number, you wait by the phone for him to call, he finally calls, takes you out on a date & so on. But today it's nothing like that. You'd be lucky if a guy even asked for your number. Nowadays its all about connecting online. 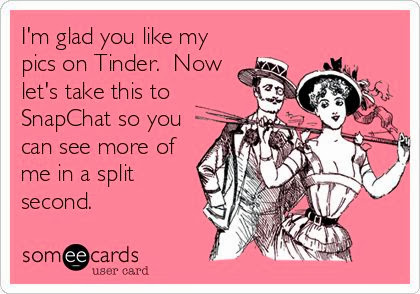 Whether it be facebook, twitter, instagram, snapchat or the ever so popular new social media outlet TINDER everyone is hooking up online. Does it make the whole dating process easier for everyone? I go back and forth on that question. Sometimes I think it has, because its so much easier & less heart pounding to send a snap than to actually call a guy but then again who doesn't miss being courted? What happened to the old fashion guy meets girl, guy likes girl, guy pursues girl?...is that completely lost in this mess of online dating?! No matter how you look at it dating & being single is tough. Dating sites like Match.com, eHarmony & OkCupid are more popular than ever before proving that dating the old fashion way is just not happening as much anymore. Everyone seems to be on some type of dating site whether for fun or for seriousness....its all happening online. It makes sense though. We are all so in tuned with our phones & being online its a shock anyone actually holds a conversation face to face anymore. In a way it makes me sad that the old school way of meeting guys & dating is gone.....to me there are just some things I like to preserve. Personally I have not gone the online dating route. Call me old fashion but I am just not 'there' yet. 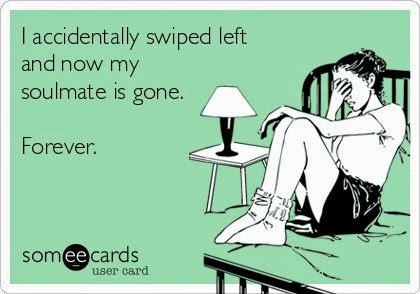 I'm not saying trying to find your soulmate online is a bad thing, to each its own....but what I am saying is that online dating has changed the dating world forever & I could only imagine how different it's going to be in the next 10 years. What are your thoughts on dating in today's world? I feel that with the addition of social media and online dating it makes it a lot easier for guys and girls to avoid the awkwardness of a first date. As awkward as it may be, I feel its necessary and part of the process. Social media makes a comment on a picture suffice for a first date and come on we both know that's BS. Online dating scares me because there are just so many creeps in the world and even with trustworthy sites, I prefer the old fashioned way also. Great Post!!! I've tried online dating and while I had a few decent dates, I just - I don't know. I'm like you - I want to be out walking my dog and pump into the love of my life on accident. I might give it a try again down the road but for now, I'm sticking to dressing cute just to go sit at the coffee shop on a Saturday morning. And don't even get my started on social media and dating - I hate that you can get so much information about people that way. It takes away from getting to know one another over dinner! I will say I have online dated and met some nice guys and some complete creeps. I connected with a friend of friends through Facebook and we were great, but the whole texting instead of calling crap kinda ruined all of it. Like you, I wanted to be courted. Just because you meet online doesn't mean that you an't buy me flowers and be a gentleman and call me! I think it is definitely a double edged sword that isn't for everyone. Personally, I am done with online dating for the time being. I miss the old fashioned dating scene. I'm an avid believer of meeting someone in person and talking and getting to know them that way opposed to typing to them on a computer. On the computer you can pretend to be whoever you want, it's much harder to lie about yourself in person. I had never heard of that Tinder app before but tat app kind of scares me! That's just setting yourself up for self esteem issues! I joined match on a dare in October of last year and had my fair share of stupid dates, complete crazies and enough to make you want to quit. In January, I "met" Patrick - who was the opposite of what I thought my "type" was. Fast forward 8 months later, we are very happily in love. I made him pursue me. I winked at him first, but he kept the conversations going after that for about the first month. We have both been married before, so that does change things a bit for us. We both have kids, and we both know what we do and what we don't want out of a relationship. It took more than two minutes but I did it anyway, for you Kel! Hi lover!!! You know i've tried online, and recently tried tender, okcupid, POF, etc... I met 1 bf on POF and we're no longer together haha. I met the recent on Instagram of all things and that was super random! I truly believe the old fashioned way has changed. I don't want to find some drunk guy in a bar. It's not like you really meet people in the library or bookstore anymore. Most the guys out at the bar are drunk, annoying, and less about getting to know you and more about twerking and making out haha. NO THANKS (well sometimes). But taking the survey now. Love you! 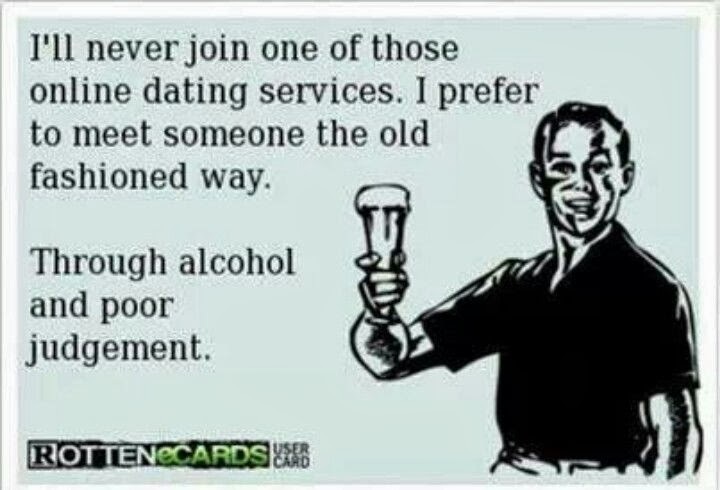 I never tried online dating but thought about it! I was like okay, where are all the men I'm supposed to be meeting and thought turning to online dating might be the answer. I met Zach before that happened but the idea of all the catfish stuff just scares me. I know a lot of them are certified or background checked or whatever but you never know with people these days! I feel like I'm never going to meet anyone because no guys will come up to me and I have no where to go to even meet people. I'm just too quiet! Very good post. 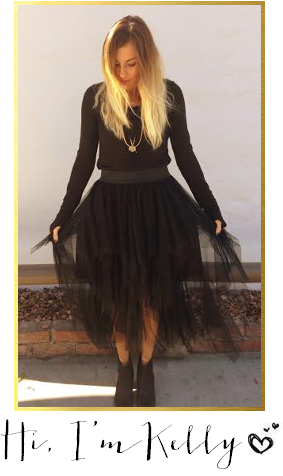 I simply stumbled upon your blog and wanted to say that I've really enjoyed reading your blog posts. In any manner I'll be subscribing to your feed and I really hope you post again soon.